Your Car Was Damaged While In The Shop. Who Pays? You bring your car to a dealer for repair and when you pick it up it has a dent in it. The manager tells you to file a claim with your insurance company because he does not know what happened to your car. What do you tell him? Of course, your instinct is to tell him to take a flying leap – or worse – and, your instincts are right. Many states even have laws which help you pin the garage keeper with the liability. In Michigan, it comes from MCL 256.541, often called the Garage Keeper’s Liability Act. Whenever any damage shall be done to any motor vehicle while in the possession or under the care, custody or control of the owner, his agent or servant, or the keeper of any public garage or other establishment where such vehicle shall have been accepted for hire or gain, proof of such damage shall be prima facie evidence that such damage was the result of the negligent act of such owner or keeper of the place where such vehicle was stored. What this statute does is shift the burden of proof in a situation where you give your car to someone else under certain circumstances. This does not mean you will automatically win this argument but it gives you a big leg up. In a typical legal setting, you must prove your case by a preponderance of the evidence and you would have to prove the defendant was negligent. With a law like this, the garage keeper has to prove that it was not negligent. The standard of proof is reversed – which makes it much easier for you to prevail. The obvious ones are the repair shop or a parking lot that charges you money. 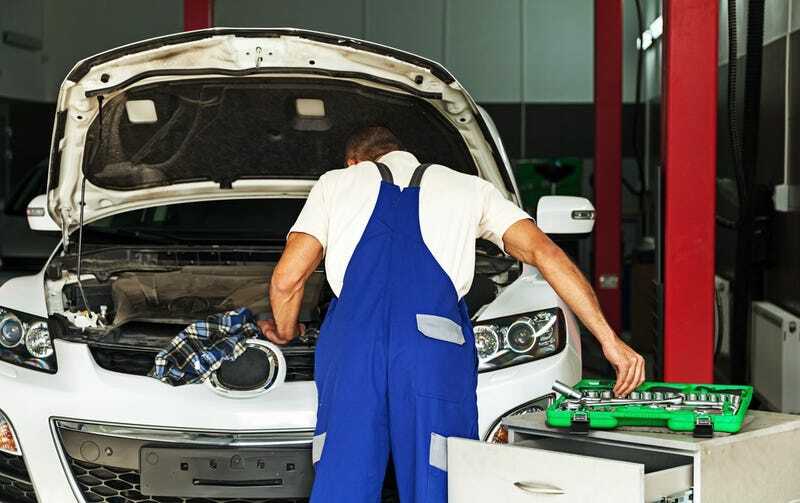 If the vehicle is damaged during the time it is in their possession, care, custody and so on, the law presumes the damage was the result of the garage keeper’s negligence. And that’s because it usually is. “But wait,” you ask. What about those huge signs you see at the entrance of the garage that claim the owner is not liable for anything? Or the back of the parking stub which likewise says the same thing? Anyone can put a sign on the wall – especially if they own the wall – but that doesn’t make it the law. The sign deters people from following up on this when it happens to them. Same thing with the ticket stub. If the ticket stub told you to jump off a cliff, would you? They are banking on the fact that many people with valid claims will not pursue them - presuming that the sign or the ticket stub actually reflects the law. To find out the law in your state, run a search on the interwebulator such as “[state] garage keeper liability.” Insert your state in the brackets. And note that garage liability without the keeper is a different thing.